Jalalabad. Nangrahar Province. 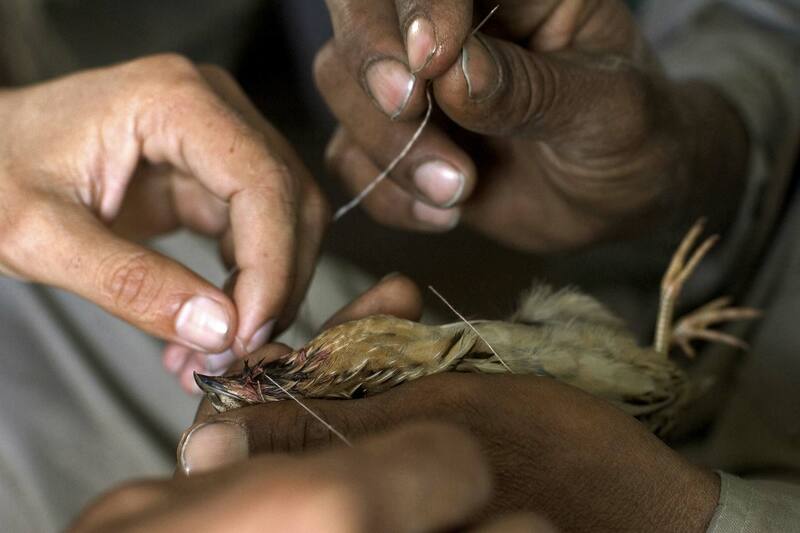 2005 A man with needle and thread gives a bird stitches for a wound.